In the United States, 31 percent—or 133 billion pounds—of the 430 billion pounds of the available food supply at the retail and consumer levels in 2010 went uneaten. 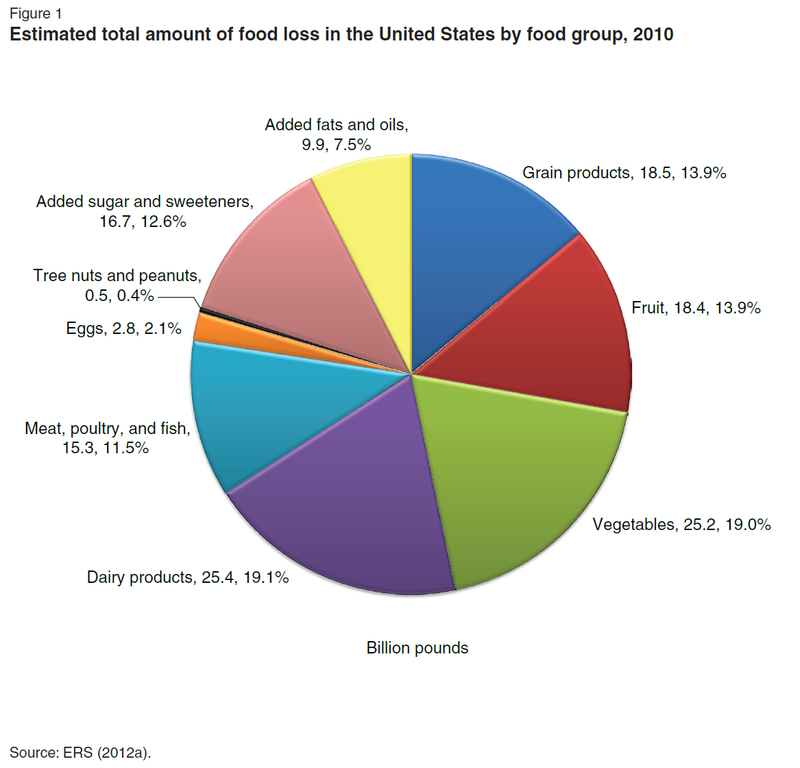 The estimated value of this food loss was $161.6 billion using retail prices. For the first time, ERS estimated the calories associated with food loss: 141 trillion in 2010, or 1,249 calories per capita per day. "Just Mayo" from Hampton Creek is a vegetable oil spread offering a new vegan egg-free alternative to traditional mayonnaise. 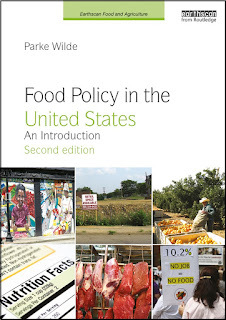 For people who follow food policy, it generates a pile of interesting things to think about, including: (1) food industry innovation, (2) nutrition content, (3) food labeling for people who care about animal welfare and the environment, and (4) standards of identity. I heard about Just Mayo from a recent Friedman School alum, who works in marketing for the company and who now has hired some current students on her marketing team. Josh Balk, from the Humane Society of the United States, who spoke at the Friedman School last year, is one of the founders. (1) In part because of interest from Bill Gates in alternatives to eggs, Just Mayo has been heavily covered in the business and technology press. According to Forbes in December, Gates backs Hampton Creek as one of a handful of companies that may transform the food system. The New York Times last year described the investment of venture capitalists in the start-up. Bloomberg BusinessWeek in October focused on Just Mayo's recent success in getting shelf space in Whole Foods. (2) Part of the consumer motivation for choosing an egg-free product is likely to be nutrition goals. Like traditional mayonnaise, Just Mayo is a high-fat high-calorie vegetable spread. Its role in a healthy diet likely depends heavily on how the consumer chooses quantities and also on what foods the product complements (in reasonable quantities, mayo in cole slaw complements tasty vegetable consumption and serves as a gateway salad, while mayo on fried potatoes Belgian-style is a high-energy occasional treat). 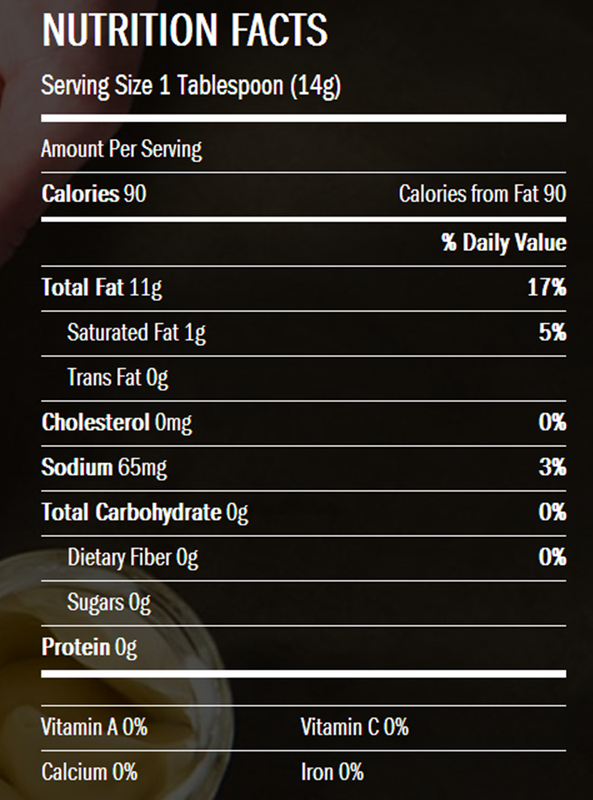 I am not a dietitian, but I would think of Just Mayo's nutrition profile as neither better nor worse than mayonnaise. INGREDIENTS: Non-GMO Expeller-Pressed Canola Oil, Filtered Water, Lemon Juice, White Vinegar, 2% or less of the following: Organic Sugar, Salt, Apple Cider Vinegar, Pea Protein, Spices, Garlic, Modified Food Starch, Beta-Carotene. (3) Many other consumers may seek an alternative to mayonnaise for animal welfare or environmental reasons. Both Just Mayo and traditional grocery store mayonnaise are processed food products, with similar transportation and packaging issues. For animal-friendly consumers at a loss to navigate confusing cage-free and free-range egg labels, Just Mayo certainly makes things easier by simply avoiding the use of eggs as an input. As a rule, plant food sources exhaust less of the planet's land and energy resources per unit of food energy produced. For these consumers, Just Mayo would be an improvement over traditional mayonnaise. (4) As a product name, "Mayo" was close enough to "mayonnaise" to prompt me to look up the standard of identity for mayonnaise [Edit Feb 13: this sentence toned down from an earlier version saying Just Mayo "flirts with violating" the standard of identity]. A standard of identity is the federal government's official definition of a food. Sometimes, having a standard of identity protects consumers, by forbidding the sale of foods that are adulterated with fillers. At other times, a standard of identity may become outdated, preventing healthful or environmentally sound innovations. 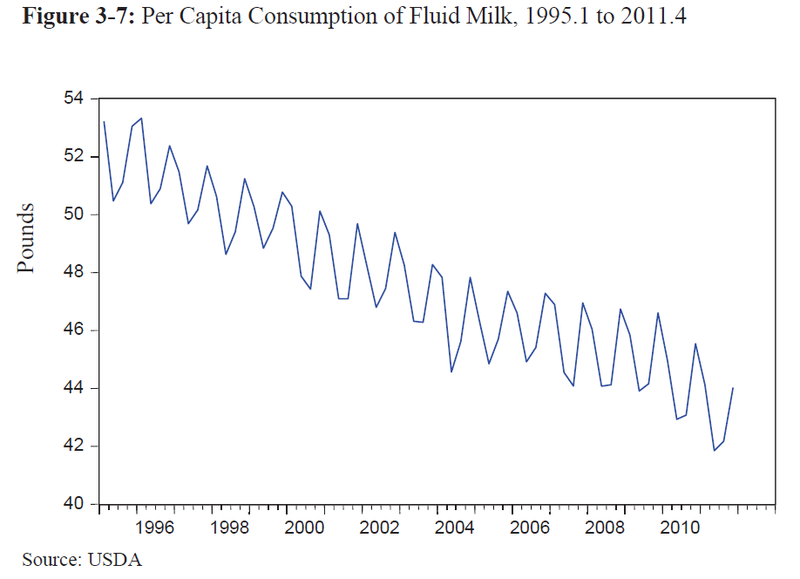 For example, there have been major controversies over whether the word "milk" can be used in the label for "soy milk." The presence of eggs in mayonnaise is almost an archetypal example of a standard of identity. The Congressional Research Service glossary of agriculture policy terms (.pdf) specifically mentions mayonnaise under the heading for "standards of identity." According to the standards of identify in the Code of Federal Regulations, which are accessible on the Food and Drug Administration (FDA) website, "mayonnaise" includes eggs. The label for Just Mayo uses the slang "mayo" rather than "mayonnaise" in the product name. A favorable review on a vegan website calls the product "vegan mayonnaise," while a Whole Foods press release goes instead with "vegan mayonnaise-style product." In a similar fashion, Kraft Mayo or low-fat Hellmann's may use the term "mayo" or "mayonnaise dressing" without observing complete agreement with the standard of identity for mayonnaise [Edit Feb 13: sentence added]. The American Egg Board, a semi-public federal government checkoff entity, has begun a campaign to address the labeling of egg substitutes. It has a related white paper appealing for a "clean label" to oppose some of the egg labeling alternatives that may implicitly or explicitly be critical of traditional industrial egg production. There may be some legal fireworks before the labeling of vegan alternatives to mayonnaise is settled. The U.S. Bureau of Economic Analysis (BEA) recently (in December 2013) announced the once-every-five-years release of benchmark national input-output accounts, showing how resources flow from one industry to the next in the U.S. economy. For people interested in the economics of the food system, some graduate students and colleagues and I last year developed a tool in Tufts' Visual Understanding Environment (VUE) for interactively illustrating such input-output flows. A working paper (#44) describes the tool. A previous blog post shows an example. 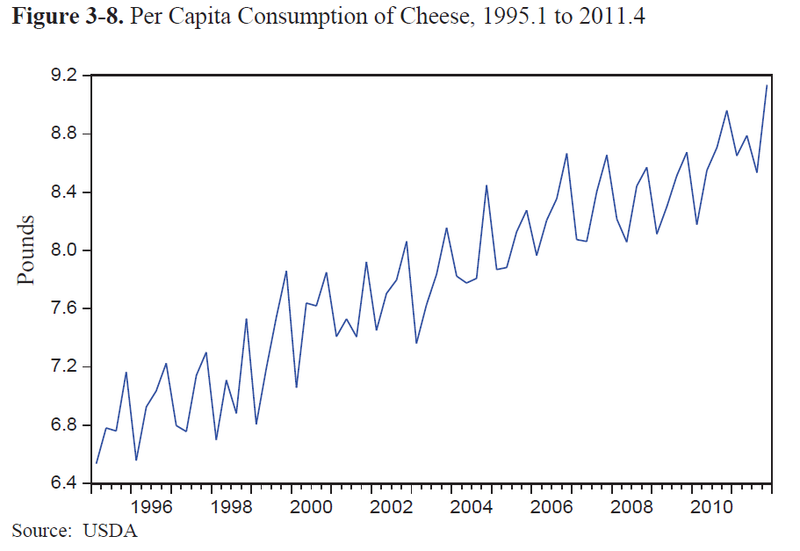 The visualization tag at this blog collects other posts about interesting food policy data illustrations. In this video, I use the new BEA benchmark input-output data to describe how grain and oilseeds flow through the food economy. Before making the video, I rounded the numbers to the nearest billion dollars and deleted some negligible small resource flows, so serious students of these data will want to refer to the original files from BEA. Because the numbers likely will be illegible in the video player embedded in the blog post, I've included a link to the original video, which you can download and play with higher resolution on your computer's own video program (such as Windows Media Player or the Mac equivalent).